Sally Hansen Prizes Finally Arrived! 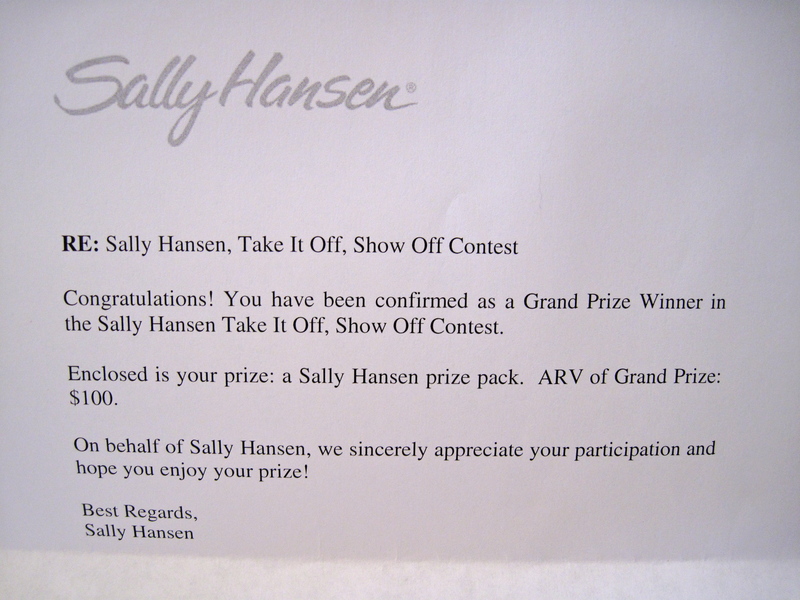 As you may recall from a previous post back in July, I won a Sally Hansen’s Take It Off, Show Off contest for my Fourth of July nail art. Well, my prize bag o’ goodies arrived in the mail Saturday, check out the spread! I’m very grateful for the fabulous package; the only real tragedy is that I already own two out of the three actual polishes that they sent me! Fortunately, the one I don’t own (the muted mint green “Jaded”) is one I’ve been eyeballing for a long time. Strangely enough, I think I’m most excited about the zebra print toe separators for pedicures because my old set disappeared :). 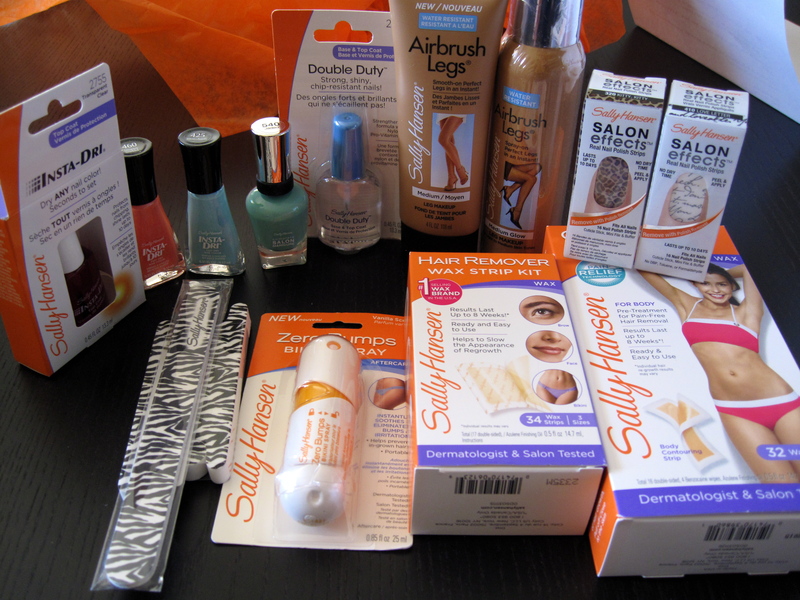 Thanks again to Sally Hansen for the goodies! Keep an eye out for an upcoming contest I’ll be posting where you can get some Sally Hansen’s products and more for free! Just a quick post to say that “The Devil Wears Polish” is having a giveaway contest to celebrate getting 500 likes on Facebook and for opening her polish shop. Her colors are amazing, but I think the best part are the racy names she gives her polishes. She’s giving away some of her custom made polish colors and other goodies, any of which I wouldn’t mind owning!